When he’s “Sober Dave,” David J. Moran has a lot of positive qualities. His lawyer, Melissa Frost, only knew that Dave. She said he is a “pretty fantastic guy” who is funny and engaging. Steve Maize, a friend, doesn’t know “Drunk Dave” any better than Frost does. Maize met the former combat medic about a year ago at Veterans Administration facilities in Milwaukee. 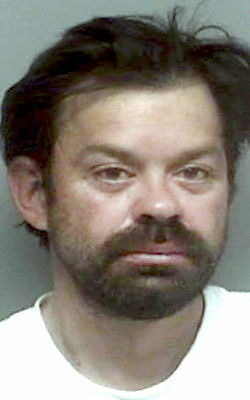 “He’s just a great guy,” Maize said in Walworth County Court at Moran’s sentencing Thursday. Judge Kristine Drettwan said there’s no question that Moran is a good man—when he’s sober. But then there’s the Dave who drinks and drives. Drettwan said she was “amazed” that Moran, who pleaded guilty to 10th-offense intoxicated driving, has not killed someone after getting behind the wheel. Drettwan sentenced Moran, 48, to nine years in prison with six years of extended supervision. He already has been to prison three times. Moran had a blood-alcohol concentration of 0.36—18 times his legal limit of 0.02 and more than four times the standard legal limit—when he drove near a public pool on a summer Saturday afternoon in Elkhorn. Moran, of 702 W. Walworth St., also was ordered to attend a victim impact panel and will have his driver’s license revoked for three years. Conditions of his supervision include not entering any bars, taverns or liquor stores. Someone called police and said Moran jumped the curb and struck a vehicle Aug. 18, 2018, Assistant District Attorney Matthew Leusink said. Although he didn’t hit a person, there’s always that possibility. “It’s a chance that they’re taking because often the difference between someone causing a fatal crash and not causing a fatal crash can be one of circumstance,” he said. Moran’s former wife, Tonya, has known Moran for 40 years and said they are best friends. He will do anything for anyone, she said. But he is an alcoholic. Tonya said Moran saw things as a combat medic that would break most people. Alcohol helped him endure his traumas. Tony Ketchpaw, Moran’s cousin, said Moran was a mentor to his son. Moran lived with them for several months and taught the boy about painting, which was Moran’s job, and took him fishing. Moran spoke briefly at his sentencing and thanked his family and friends for coming to see him. “I’m truly sorry for everything I’ve done,” he said. Drettwan said she hears a lot of insincere “jailhouse apologies,” but she said she believed Moran. Moran needs treatment. Drettwan, who oversees Walworth County’s OWI treatment court, said he needs to get to the core of why he drinks. “That has to happen,” she said. If there is no more “Sober Dave,” the consequences could be much worse. “Your luck is going to run out,” Drettwan said. “You will kill someone. An Elkhorn man charged with 10th-offense intoxicated driving drove onto a curb with pedestrians nearby, according to a criminal complaint filed in Walworth County Court.